Make your own coconut coffee body scrub and help yourself to smoother, fresher, tighter skin. To minimize exposure to paraben, making your own body scrubs might be the way to go. One “recipe” that you could try is the coconut coffee scrub, which consists of coffee grounds, brown sugar, coconut oil, cinnamon and vanilla essence. 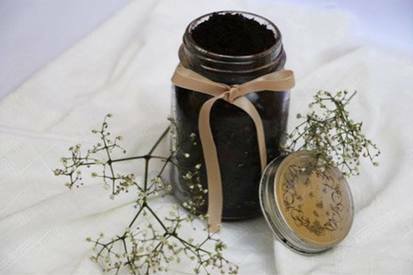 “The coconut coffee scrub is easy to make and smells great,” said Selina Siow, a 23-year-old mother who makes her own scrub. The caffeine component of the coffee grounds can help tighten the skin, reducing cellulite and swelling. Also rich in antioxidants, caffeine helps combat skin ageing. Adding coconut oil into the mix gives the scrub its nourishing and skin softening qualities. Olive, jojoba or almond oil can also be used in place of coconut oil.